Sales articles are full of advice on how to skilfully ask questions during sales interview. That’s not surprising. Questions are the exact thing that helps us move potential leads through the sales funnel. Cold callers use them during discovery calls and those who prospect might use questions while looking for the ICPs. But how to apply it to cold email senders who have just begun the conversation? 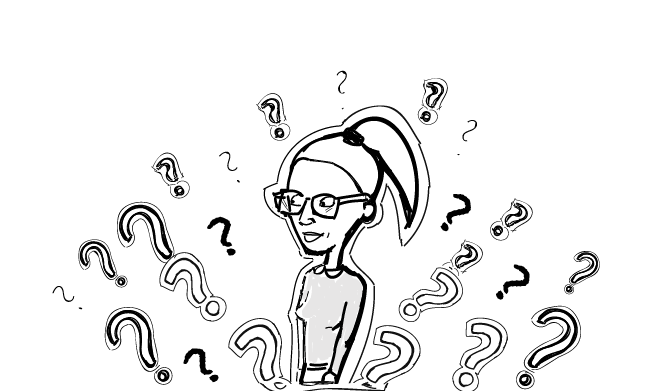 Here I gathered 3 resources that will help you learn how to perfect the art of asking questions. There are a few hints here and there on the blog about switching your CTA for a question. It might be a powerful tactic in times when you feel that asking them for a call may be too big of an ask. According to HubSpot, by asking a question at the end of your email, you’ll put Zeigarnik effect into motion, that is a haunting feeling that some business has been left unfinished, and you’ll be on the prospect’s mind for a long time. The article gives 7 possible questions to ask at the end of your cold email. Would you like to learn about the opportunity I think [prospect’s competitor] is missing out on? I see [prospect’s company] uses [X strategy]. Why? I see [prospect’s company] isn’t investing in [Y area]. Why not? Is [likely challenge or opportunity] a priority for [prospect’s boss]? Do you want to get on a call with [expert within your company] to discuss [prospect’s business focus]? Have you considered trying [X technique]? Should I save a [seat, ticket] for you? I must say that this tactic seems pretty convincing. However, some of the questions (question 1 and 4) seem to be a little straightforward for a first touch email. You can add them to one of your follow-up emails though. Although the article suggests using your questions during a sales call, I think we can safely apply them as our cold email CTAs. Have you made a purchase of this type before? How did it work out for you? Have you considered buying a [product type]? How do you see yourself using this product? What issues are you facing right now that this product can help you with? If there was one thing you could change about your [life/business], what would it be? What will you gain from solving this issue? What are the risks involved in fixing this issue? What are the risks of NOT fixing it? How long has this issue been around? What has held you back from fixing it so far? They are safe questions for a couple of reasons. Most importantly, they aren’t about you. As you know, talking about yourself is one of the things people hate the most about cold emails. So here you have it. A nice set of CTAs to try in your next cold email campaign. There’s a small caveat. When you use a question in your cold email and you get an answer to your question. And that’s that. No calendar appointment. If you don’t do something, you will exchange emails back and forth without any prospect of switching to a call, because there won’t be a need for a more extensive talk. This is a great technique to use in your follow-up email. And when somebody answers something like 6, you then reply back with “Why not 7? What would need to happen to make you a 7?” This is called motivational interviewing. Instead of using a worn-out follow-up email technique, such as an eaten-by-alligator email, maybe you can show your sense of humor through testing something like motivational interviewing to persuade your prospect to reply. Sales reps are taught to use wh-type of questions in their sales interviews, that is ‘what,’ ‘who,’ ‘where,’ ‘why’ and ‘when’ and ‘how’ Since they are so common, they sound boring and repetitive to prospective buyers. We might feel tempted to use the same questions. After all, it’s common advice to do that. When we use the same questions as everyone else, we become “me too”, it’s hard to show our unique value when we’re doing the same that everybody else does. Paul suggests ditching that kind of questions and trying another approach to questioning instead. So spend some time rethinking the way of forming typical sales questions. Here’s a nice resource from Harvard Business Review that divides questions by their type. Instead of asking your prospect whether she is a decision maker, ask her what is her decision-making process. The same goes for other yes or no questions. Switch them by using phrases like “Explain to me,” “Tell me,” “Walk me through,” “Share with me,” “Help me understand,” etc. What it does, it helps to break the ice and makes people more trusting. Paul says that about 87% of sales conversations are focused around the present. They don’t venture into the past or the future. Big mistake. Talking about the past or the future makes us consider the big picture. If there’s only one thing that you should take away from this interview is that you can lose your prospect’s interest by asking boring questions. And conversely, it’s a great, original question that makes you memorable and adds up to a great first impression of you. When you sense that your prospect is reluctant, address the issue. Because only then will you switch their minds and get them from a “want” to “have to” stage. Ask them about it. Hear their story. Then, switch the conversation to talking about costs. Ask them, “What’s costing you in terms of time/people/opportunity?” And lastly, ask an implication question, such as “What if you don’t address this issue what may be the impact?” And if you have an answer to that, it’s easier for you to act. What are the takeaways from this post? Asking a question in an email is a nice way of getting the kind of attention we want and soliciting a reply from our prospect. It’s not as aggressive as asking for a Skype call. And if executed swiftly, we can see some results with it. Of course, putting a CTA as a question won’t work on every target. However, you may run an A/B test to see what will gather more replies: a question or a statement. And then you decide if asking questions is for you or not.